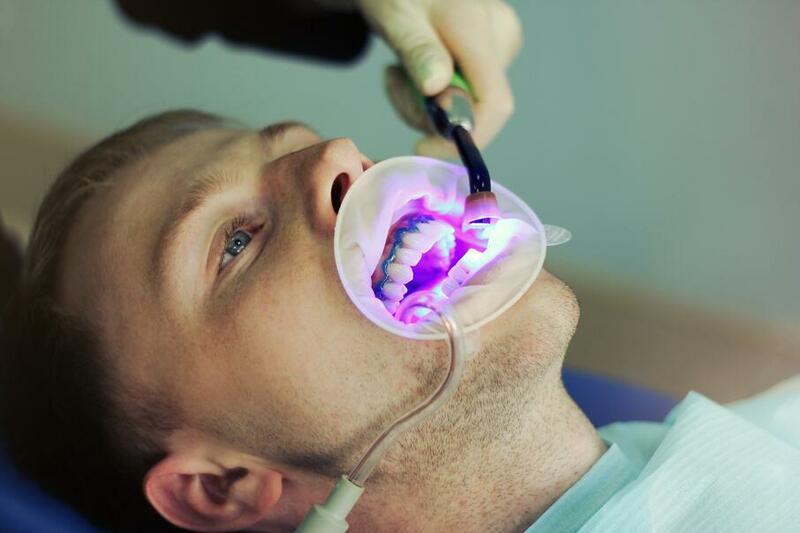 From whitening toothpastes to blue lights, growing patient demand for whiter, brighter smiles means the industry has seen an influx of solutions available - both professional and otherwise. Which is why dentists need to expand their knowledge on professional tooth whitening and the tooth whitening industry. If not to offer patients the best and most appropriate treatment, then to ensure their practice is capitalising on this growing trend. Here, we dig a little deeper into the industry - bringing you the what, the when, and the how of professional tooth whitening. Whilst some patients just want to brighten their smile, many are looking to combat signs of discolouration. Most cases of staining can be treated with bleaching, however the time it takes for the whitening treatment to work depends on the extent of the problem. For example, patients that have a shading of A&B (according to the VITA shade standard) will be very responsive to whitening and will often reach very light shades in one to two weeks. Whilst stains from tetracycline could take up to six months before the desired results are achieved. This needs to be explained to patients when discussing professional tooth whitening as an option, as many may expect instant results irrelevant of how severely discoloured their teeth are. There are a number of excellent whitening treatments available on the market, from those carried out at home to those administered in a dental surgery. To help you confidently guide patients through each treatment option, we’ve pulled together the key points for each solution. We can all access these over the counter. Whilst they are effective at breaking down and removing surface stains with abrasives or additives, they can only revive the tooth’s natural colour. 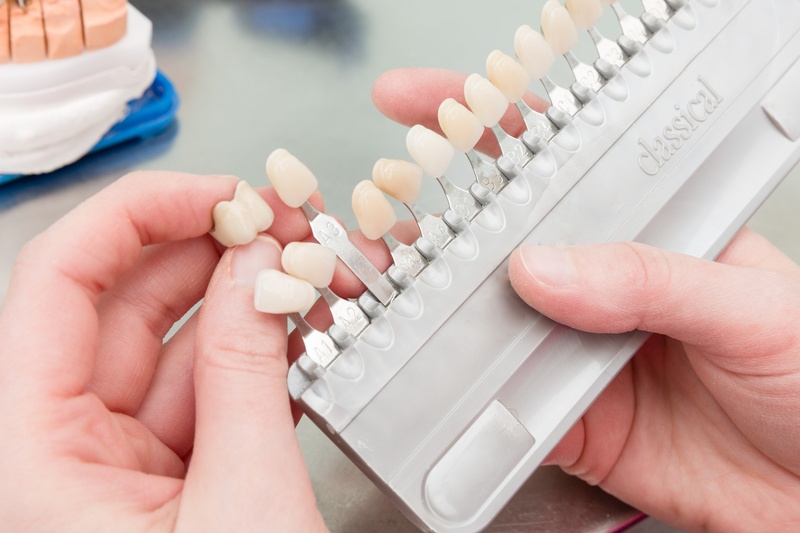 If your patient is looking to keep their natural smile clean and bright, but maintain the integrity of the tooth surface, regular scale and polishes might be enough. Using Hydrogen Peroxide, smile strips and preloaded trays are great for patients looking for predictable, immediate and effective results. This is considered the traditional, tried and tested technique to lighten the internal pigments of teeth. Using Carbamide Peroxide or Hydrogen Peroxide gel in a custom fabricated tray, this approach improves the colour of teeth without altering the tooth’s structure. This technique is ideal for patients with fluorosis staining. Using a combination of silicone carbide and hydrochloric acid, microabrasion will gently remove staining that is less than 0.2mm deep into the enamel. Typically delivered using Hydrogen Peroxide formulations, in-surgery whitening is quick to penetrate the tooth’s surface. This means you can offer patients immediate results. However, it is often followed up with additional home treatments to maintain and stabilise the change in shade. For non-vital teeth that have been discoloured by trauma, or over time, use the ‘walking bleach’ technique to lighten teeth over several weeks. This is a very controlled method. Composite is an effective and reliable restorative material for altering the shade, shape and surface texture of teeth. However, as this material wears like natural tooth structure, it may require occasional treatments to maintain the desired appearance. One of the most well known aesthetic treatments among patients, porcelain is renowned for its high quality, functionality and extensive research. Lab communication, bonding and cementation are all required if you want to deliver the best results using this technique. And whilst full smile design cases come at a higher cost, they can have a significant impact on the life of your patient. If the patient is suffering with severe discolouration that can’t be treated with more standard whitening solutions, you should suggest crowns. This approach involves significant removal of tooth structure, and should be considered a last resort in this instance. Each of these treatments comes with its advantages and disadvantages. But it is up to you to guide your patients through each one and help them choose the most suitable solution. Although patients want to whiten their teeth and improve their smiles, many remain put off by the thought of visiting a dentist. For help reassuring patients and building your practice with this growing trend, read our tips and advice on marketing treatments to patients here. When considering the best agent for your patients, there are a number of factors to think about, including the strength of the agent and the treatment time. This is the equivalent to approximately 18% Carbamide Peroxide, and is the strongest EU accepted whitening gel. It can be used at home by the patient in a custom fabricated tray for 30-90 minutes a time. Although this offers similar results to 6%HP, standard 16%CP whitening systems break down slower due to the make-up of Carbamide Peroxide. This means the ideal wear time is usually between 2-4 hours. However, the latest advancements in dentistry mean wear time for this strength can now be as little as 1-2 hours whilst still achieving the same whitening results. This is because of White Dental Beauty’s new, patented whitening compound - NOVON - which is present in all of their products. Recognised as the original percentage of gel used in Nightguard Vital Bleaching - also known as ‘tray bleaching’ or ‘at-home bleaching’ - as advised by Dr Van Haywood, 10%CP is a popular strength when being worn overnight. It is also effective when worn for up to 8 hours at a time. This is ideal for patients who suffer with sensitive teeth yet want to achieve impressive results. Using a intelligent chemistry called NOVON, 5%CP (produced by White Dental Beauty) offers similar results to 10%CP. So there you have it - the what, when and how of professional teeth whitening. We know the industry is transforming - the numbers prove that. But now is the time to harness this opportunity to grow your practice by meeting the needs of your patients.